Know how to get rid of fire ants quickly without a huge investment? If not, Think Green Lawn Care can help. Professional applications make managing a fire ant infestation so much simpler than going at it alone. Proper identification of ants and finding the location of ant colonies make treatments so much easier. Fire ants are especially insidious as a species. Not only do they deliver horribly painful bites, but they’re also persistent in building their colonies in areas that are hard to reach. 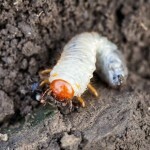 Unfortunately, Georgia residents face off against these baddies at least once; so, it’s important to know exactly what they look like and where they’re likely to come from on your property. Who is best to pass along this info? The professionals. 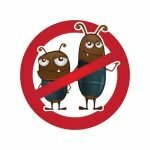 Find a reputable pest control company, and work with them when fire ants first become a problem. Bait stations help wipe colonies out from the inside. Without a doubt, the best way to treat a fire ant infestation is with the help of ant baiting stations. Bait is treatment medium—often powder or granules—that appeals to ants. It tempts them to the bait trap where they load up on product. Some baits work so quickly that it’s used for direct contact kills, similar to spray applications. Others are slow working, meaning worker ants can take it back to the colony as food, where larvae and the colony queen may eat it and die off. The most effective baits on the market are only available to professional pest providers. There are a few consumer products available at the store, but generally speaking, these products are not strong enough to take out a colony on their own. Professional bait stations have a protection barrier to protect pets and kids from harm. Alternatively, fire ant mounds can be treated individually, but it is difficult for the application to sufficiently saturate the colony. Fire ant control often requires a one-two punch. Bait stations burn the colonies out. However, perimeter applications stop more ants from taking the mounds over once the original ants leave. These applications can be made around the perimeter of your property or your home. Your pest pro may devise a specific plan for topical applications meant to drive ants away from your property. Homeowners don’t have the expertise for this level of pest prevention, and the trouble it saves is worth every penny. 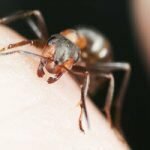 Stay bite-free with professional fire ant control from Think Green Lawn Care. Get started on your attack plan sooner than later. Call (678) 648-2556 to get rid of fire ants fast.